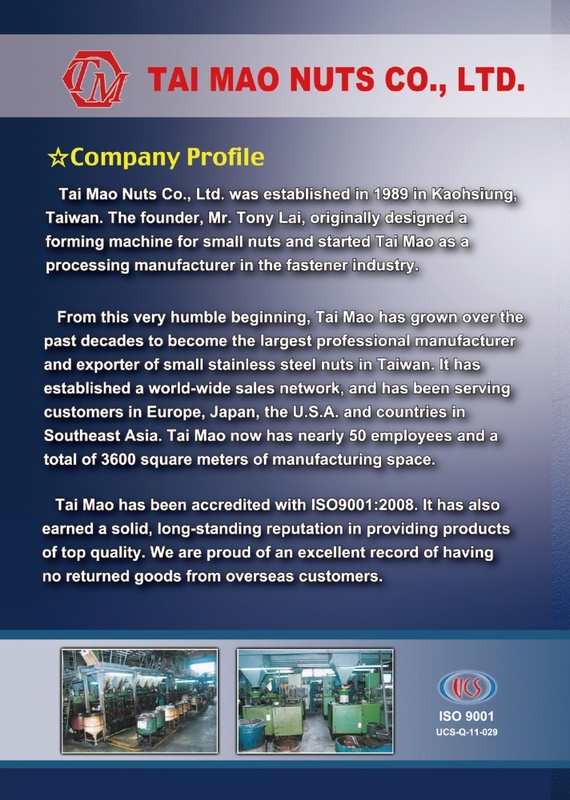 Tai Mao Nuts Co., Ltd. was established in 1989 in Kaohsiung, Taiwan. The founder, Mr. Tony Lai, originally designed a forming machine for small nuts and started Tai Mao as a processing manufacturer in the fastener industry. 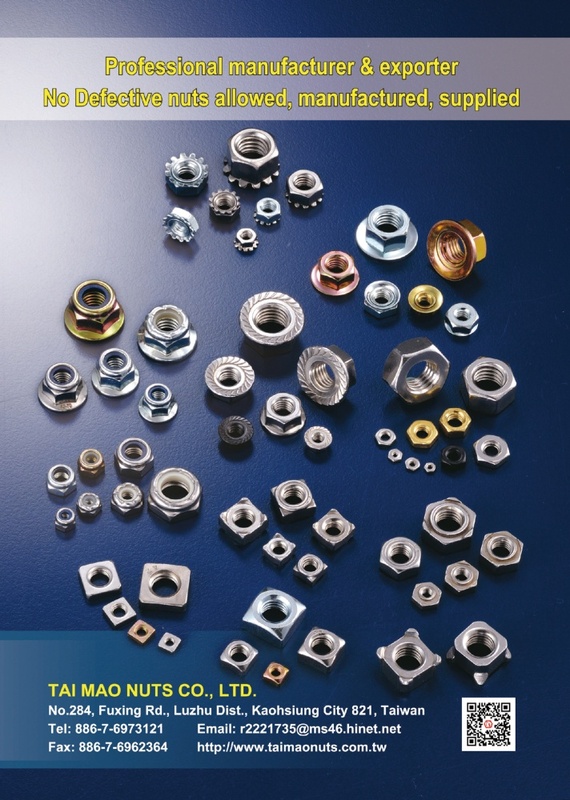 From this very humble beginning, Tai Mao has grown over the past decades to become the largest professional manufacturer and exporter of small stainless steel nuts in Taiwan. It has established a world-wide sales network, and has been serving customers in Europe, Japan, the U.S.A. and countries in Southeast Asia. Tai Mao now has nearly 50 employees and a total of 3600 square meters of manufacturing space. Tai Mao has been accredited with ISO9001:2008. It has also earned a solid, long-standing reputation in providing products of top quality. We are proud of an excellent record of having no returned goods from overseas customers.